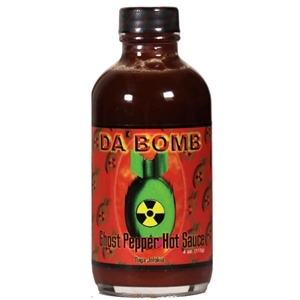 This sauce is infused with one of the world's hottest peppers - the Naga Jolokia or "Ghost Pepper" . This sauce contains zero pepper extract - just pure natural heat! Ingredients: Habanero peppers (fresh hot habanero and salt), mango puree, water, lime juice concentrate, tomato paste, jolokia pepper powder and habanero powder.